The recently concluded Golden Globe Awards celebrated the best of film and TV. The gathering of the biggest stars from both mediums was attended by a number of A-listers who hit the red carpet in classic and stylish menswear. Here are our style picks for our 2019 grooms. Velvet suits have been popular for quite some time. The plush fabric is a great alternative to inject a bit of luxury and texture to the classic menswear silhouette. Game of Thrones star and Golden Globes winner for the TV series, Bodyguard Richard Madden wore an impeccably tailored Giorgio Armani tuxedo. Homecoming breakout star Stephan James went a bit adventurous in styling with his Ralph Lauren Purple Label suit paired with funky shoes from Christian Louboutin and a hard to miss lapel pin from Chopard. One of the best ways to show individuality is to veer away from classic fabrics and wear an interesting jacket either with texture or with prints. Filipino-American actor Darren Criss brought fresh elegance by trading the traditional black tuxedo jacket for a cherry blossom motif jacquard jacket from Dior. Chadwick Boseman, one of the stars of the hit movie, Black Panther wore what could be the biggest grooms wear trend this year: a custom made light silver tuxedo paired with a fully encrusted Swarovski crystal beadwork with subtle Medusa accents by Versace. For those who want something more subtle try a dark jacket with small patterns like the one worn by actor Dave Franco who wore a Yves Saint Laurent over his classic slim fit trousers. Men’s accessories aren’t just limited to a cool watch or a pair of elegant cuff links. Stars like Michael B. Jordan, wore an interesting Art Deco lapel clip with his classic double-breasted Burberry suit while Mahershala Ali elevated his gunmetal gray number with a paisley-printed scarf in blue by Etro. The Golden Globes is a black-tie affair. 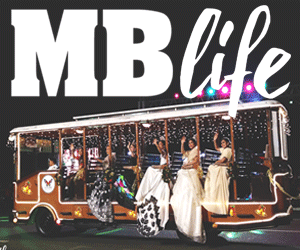 However, some attendees of the night chose to push the envelope a bit further by switching from a classic black tuxedo to a white one. A white jacket is a tricky trend to wear (for fear of looking like one of the service crews) but the right styling and tailoring may just give the look a fresh spin. Golden Globe nominee Bradley Cooper went all out vintage with his three-piece tuxedo and grosgrain bowtie from Gucci. 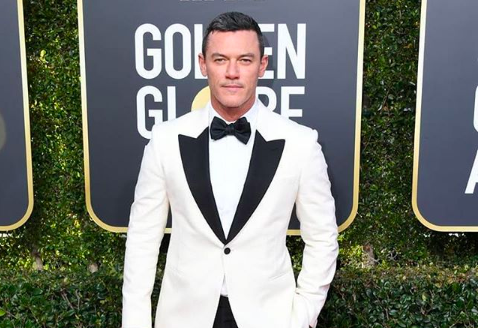 Luke Evans looked dapper in his Alexander McQueen white jacket while Marvelous Mrs. Maisel star – Toni Shalhoub looked fresh and current in his Brioni ensemble. People Magazine’s 2018 Sexiest Man Alive, British actor Idris Elba, was in a league of his own by wearing one of the night’s most lauded menswear looks. While the acceptable idea of wearing color in terms of men’s fashion seems to revolve around navy or maroon, Elba took it a notch higher by confidently wearing teal. Elba wore a teal jacket and vest by British designer Ozwald Boateng, known for his twist on classic British tailoring and bespoke style. Teal may be big this year as a compliment to Pantone’s 2019 color of the year – Living Coral. 6.WHY MESS WITH THE CLASSICS? Rami Malek, the best actor winner of the night was a style winner as well in his tailored Givenchy suit. British actor Joe Alwyn looked long and lean in his well-made Prada suit.